New Pieces for Charlene of Monaco? Princess Charlene of Monaco celebrated her 37th birthday yesterday. I'm a firm believer that all birthdays deserve to be recognized with generous helpings of bling, but when you have a birthday right after giving birth to an heir and a spare? Surely that deserves some extra-special sparkle! 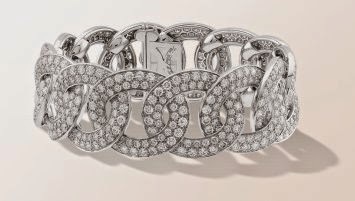 Here are some pieces from Charlene's favorite jewelers that I hope Prince Albert added to her collection this weekend. What pieces would you like to see her wear? Charlene often wears jewelry by Graff, including the diamond floral headband she donned last year. 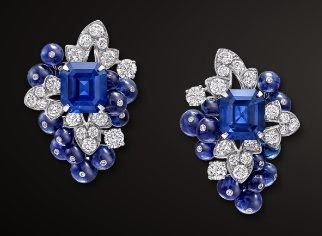 The company is currently selling a gorgeous set of diamond and sapphire jewels that would be just perfect for gala events in Monaco. The necklace features berry-like sapphire beads nestled within leaves of diamonds and interspersed with several large emerald-cut sapphires; the earrings echo the necklace's motif. 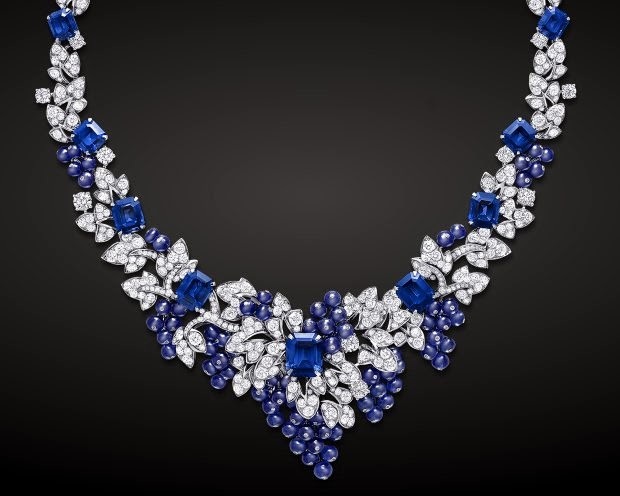 The demi-parure includes more than 33 carats of diamonds and a whopping 183 carats of sapphires. Charlene often favors jewelry with a bit of an edge -- a welcome bit of interest when paired with her usual sleek couture gowns. These unusual earrings by Repossi (maker of her engagement ring) would definitely fit the bill. 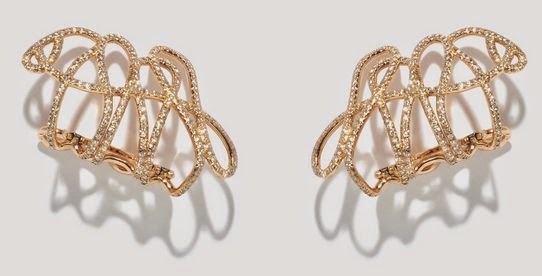 The White Noise diamond and rose gold earrings curve around the wearer's earlobes in a pattern that somehow manages to be both elegant and hectic. You all know that I'm a big proponent of the return of the brooch, but even I recognize that they're probably not among Charlene's most desired pieces. That said -- of all of the princesses in the world today, I'm hard pressed to think of one who could wear a classic Cartier panther brooch as well as Charlene could. 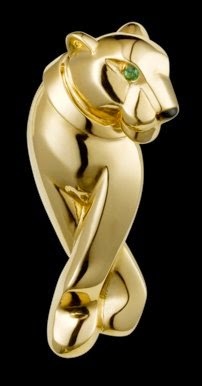 Wouldn't it be wonderful to see something so glam and slinky pinned to the lapel of her coats? This version is made of 18K yellow gold with a black lacquer nose and an unexpected green tsavorite garnet eye.